If you are facing troubles in obtaining your passport or visa, then come directly to us for the best solutions. 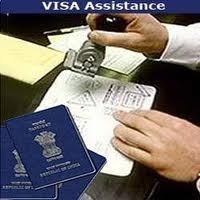 At Rudra Vijay Travels, we are involved in rendering reliable passport & visa services to the clients across Panipat (Haryana, India). Our agents are closely associated with some of the prominent players in the travel business. This helps us in assisting our clients in the documentation procedure. Moreover, we assist our clients in filling the application forms correctly to save them from further hassles.